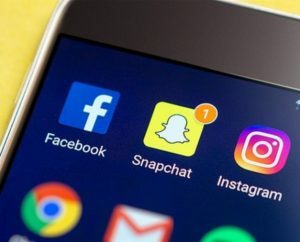 The number of teens and young adults in the UK using Facebook is falling, as young people opt for Snapchat and the social network’s own Instagram platform instead. According to eMarketer, 2.2m young people between 12 and 17 – or 71 per cent of social network users in the age bracket – will use Facebook regularly this year, down eight per cent on an earlier forecast. In addition, eMarketer has reduced it estimates among 18 to 24-year-olds by over five percentage points to 83 per cent of social network users. This is expected to fall to 81.5 per cent by 2021. “Facebook’ has a ‘teen’ problem,” said Bill Fisher, eMarketer’s UK senior analyst. 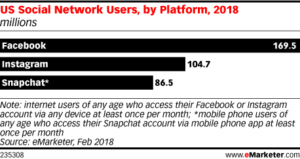 Despite its problems with young people, overall, Facebook is expected to reach 86.2 per cent of social network users in 2018 – way ahead of 49.9 per cent for Instagram, 42.7 per cent for Snapchat, and 33.5 per cent for Twitter.